"The first to apologize is the bravest. The first to forgive is the strongest. And the first to forget is the happiest." 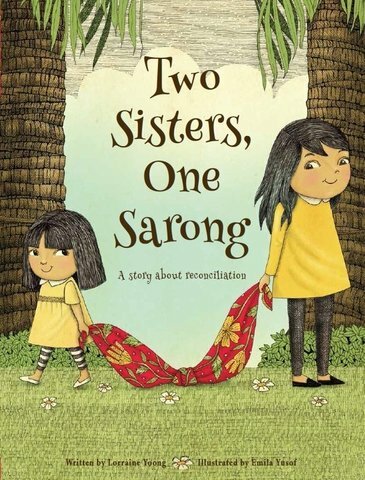 This endearing story revolves around two sisters, Gituan and Riang, who are joined by good times, play times and bed times with their favourite sarong. As they grow up, jealousy, hatred and anger take over and cause a separation between them and the colours of the pages begin to fade away. The colours only begin to return with the arrival of their little sisters, Inang. However, it was not until a crisis took place that finally broke open their hearts and allowed love to flow out once more. This book was wonderfully written to convey life's complex situations to children - in simplified words and way, as well as attractive illustration, so that children can understand. 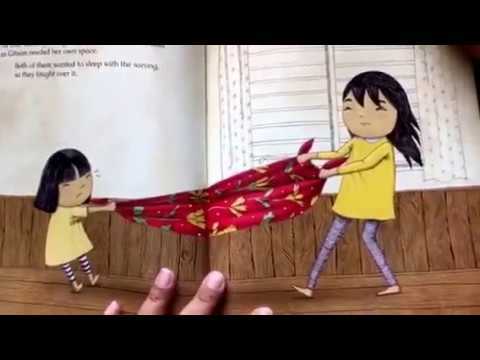 And if you wonder where the name of Gituan, Riang and Inang came from, let's discover it from the book!